New Lifetime Adventure Tower Swing Set! 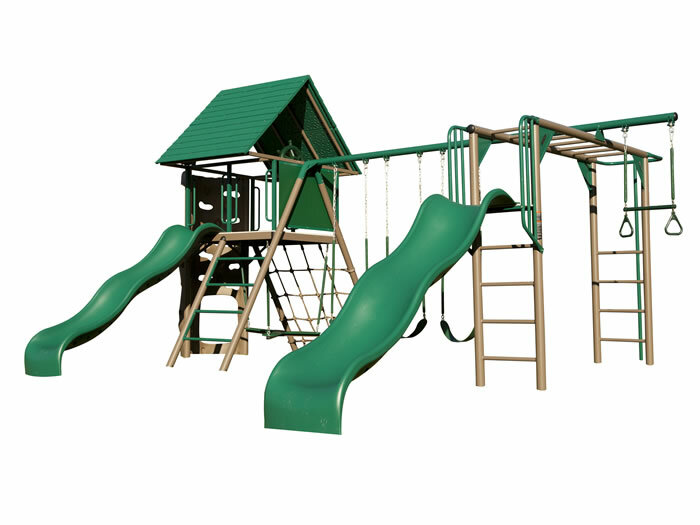 Includes 5 ft clubhouse, 2 rock climbing walls, 2 swings, 1 trapeze bar, 1 wavy slide and more! 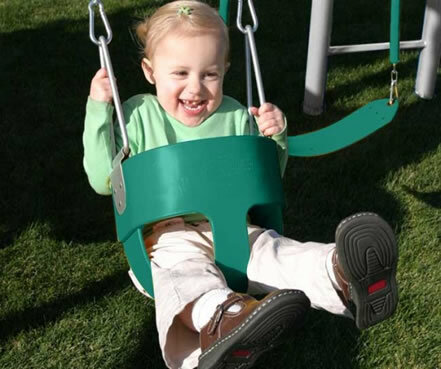 Our Adventure Tower Swing Set Playset from Lifetime is designed with a variety of activities for children ages 3 to 12. 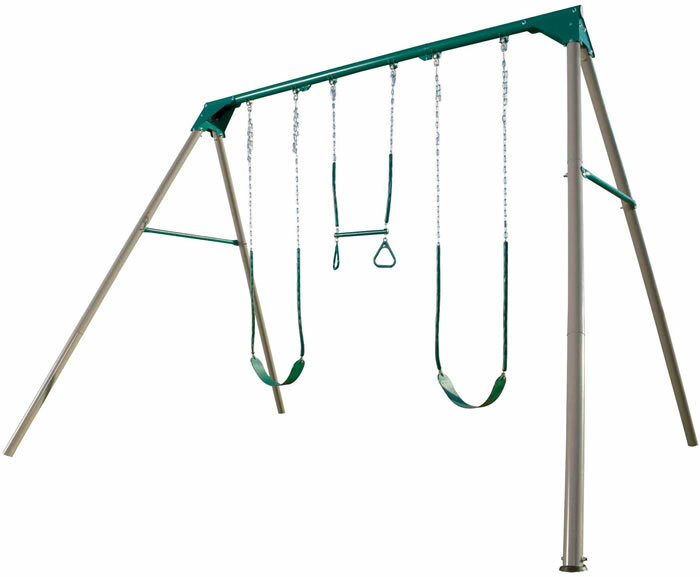 Built from the highest quality materials consisting of UV-protected high-density polyethylene (HDPE) and powder-coated steel. This set is super durable, weather-resistant, and will not warp, rot, crack, or splinter like comparible models made from wood. 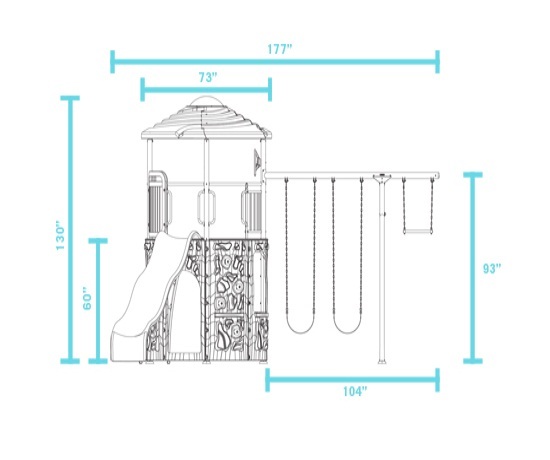 Your kids and their friends will enjoy hours of fun and you'll enjoy the low-maintenance and safety features of this Lifetime residential playset. Maintenance free and safety are great things to keep in mind but what about the fun factor! 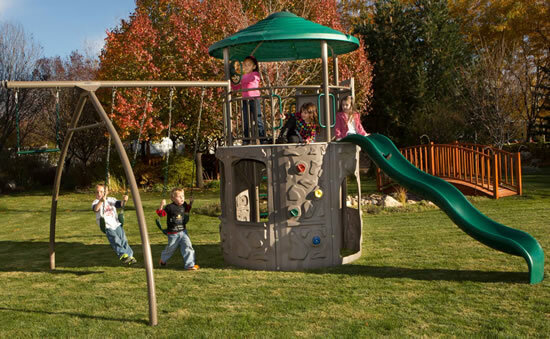 With our Lifetime Adventure Tower swingset your kids will have multiple activities right in their own backyard! With a clubhouse, a swing set, trapeze bar, rock climbing walls and a huge slide your kids will be the talk of the neighborhood. Give your children tons of great times and ample opportunities to create great memories on their new home playground today! Features:�5 ft tall deck with hard top clubhouse, 4 store fronts, 2 rock climbing walls, 9 ft wavy slide, 1 steering wheel, 1 trapeze bar, 1 car map and 2 belt swings! 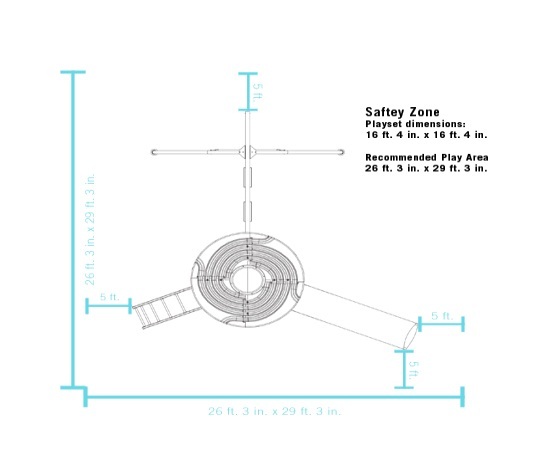 Recommended Safety Zone:�26' 3" x 29' 3"
Weight Capacity:�10 kids or up to 1600 lbs. Weight Capacity Per Swing:�135 lbs. 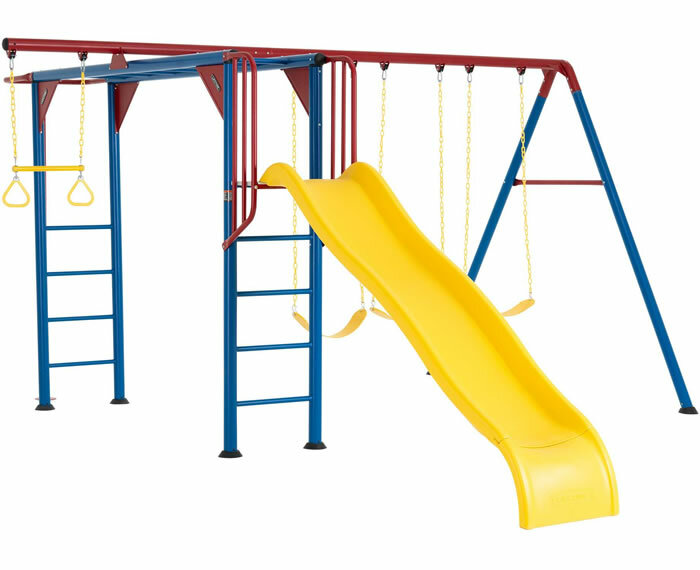 Add a Toddler Swing below so everyone can join the fun! Absolutely LOVE this swingset! Easily put together. Sturdy d ..